I spotted this great challenge this morning and thought I’d join in. 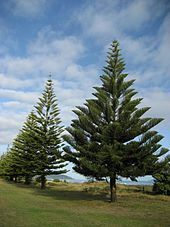 I am so connected to many, many trees, maybe because growing up in the smallish ocean-side town of Pacific Beach (San Diego), in our front yard, we had the tallest tree in the entire town. That tree was a huge part of my life. I experienced it as a living being, a friend, and that has informed my experiences with trees ever since. I wrote this story about it years ago. For fifty years, there was a Star Pine tree in Pacific Beach that could be seen from almost everywhere. Rumor had it that this particular tree was, by far, the tallest in this San Diego beach community, and the surrounding area for that matter. The true story about the origin of this tree is a well-guarded secret, but for a good cause; to prevent sibling rivalry. Here is the part of the story that can be proven. It seems an unusually forward thinking young man moved to the West Coast from Coffeeville, Kansas in the late 1940’s, and wisely bought a piece of property close to the ocean. He had it all planned; settle in to his new job as an aeronautical engineer at Convair, build his new house and get it all ready, and then, begin his search for the woman who would become his wife. Here’s where the secrecy starts. This man eventually had three daughters. Each of these daughters has a different tale about the origin of the big old Star Pine tree that dominated the property, as well as the Pacific Beach skyline. I am the oldest of those daughters, so here is my version, told to me by my Daddy when I was very little. The yarn goes like this. When my father met the woman who would become his “one and only”, she already had a two-year-old daughter; ME. In order to welcome me into his life, we went shopping for a tree for the front yard of his newly built home. We had to look around a bit because he had many specific requirements for this tree. 1) It had to be a future climbing tree. 2) It had to be a pretty tree; none of those Monkey Tail trees that my Dad thought were inferior. 3) It had to have the potential for providing shade. 4) And most important, was that at the time it was planted, it had to be exactly the same height as his new little daughter, “so that the tree and I could grow together”. So we found the Star Pine that occupied the front yard of this home in Pacific Beach for many years. Well, “occupied” is a relative term. It grew to become massive and regularly needed a “trim” to prevent its branches growing into the bedroom windows and overtaking the house completely. This tree really saw some life, let me tell you. I am now in my fifties and some of my fondest (as well as harshest) memories are of sitting way up high in this old tree, for hours at a stretch; sometimes reading, sometimes privately watching the neighborhood, stretching from the West to the Pacific and to the South to San Diego Bay. Sometimes I’d climb the tree with a little friend to enjoy a picnic lunch, and sometimes I’d hide up there from my bothersome little sisters, or from my imperfect parents. And then there were those times when that old Star Pine tree was utterly a place of soul saving refuge. As much work as raking up the shedding needles and branches? was, Dad loved that tree and so did we. It was a landmark of sorts. One really couldn’t miss it as it could be seen from most angles throughout the town. It should have been left to live out its life in peace, just as our father did. He is gone now, having lived a wonderful, fulfilling life in his cherished, self-built homestead. Pacific Beach flourished and filled in around him, but somehow retained its small beach town atmosphere. When Dad passed on my sisters and I made the very tough decision to sell our childhood home. We idealistically tried to require the buyer to promise NOT to cut down this magnificent old tree. He agreed, but if you are ever in San Diego, don’t bother looking for 1361 Wilbur Ave. The TREE is no longer there. The man who bought the house professed termites and immediately had the tree removed. He also did other things to the house that, other than the address, make it no longer recognizable as our childhood home, our Father’s dream. But some part of my Daddy is still there, his spirit and energy strong. And so are his three beloved little girls, frozen in familiar childhood poses, arguing over whose myth about the origin of the tree is really the truth. Well, the theme today is Siblings or Brother/Sister. I was just telling James last night, after watching one of those poignant long lost family reunion TV shows, I wish I could find some surprise, unknown siblings…from my biological father, whom I never met. Not that I didn’t search for the guy for much of my younger life. But looking for Michael John Kelly, I just never had any luck. Way, WAY too common an Irish name. Even with all the “Ancestry” type options we have these days, I have kind of given up. I just wish I could have some kind of healthy reunion with the sisters I did have growing up. Pretty unlikely though. I have to admit that along with my joy at Helen’s experiences with HER sister, I also experience some envy. So, I thought of this song by Cris Williamson called “Sister”. I’ve posted it before but am not sure I included the above backstory. It’s a beautiful song, worth another listen, even if you already know it. I can close my eyes and imagine myself NOT the oldest sibling, taking care of everyone else, but having an older sister singing these words to me!! and I will be the one to help you ease your pain. PS Here’s some info on Cris Williamson, a wonderful and talented singer/songwriter. I had the extreme pleasure of being at a Bonnie Raitt concert once, when she called Cris out on the stage to sing with her. They did “Angel from Montgomery”. Oh my GOD! What a beautiful combination of voices. In the small town of Natchez, Mississippi, combining a group of local friends, some Latter Day Saints and a cadre of gorgeous Houstonites, for a wedding at a tiny Mormon church, was no small feat. Uh oh, let me clarify. They are Houstonians, not Houstonites! I was skillfully corrected. Here’s the article to prove it! I have to say the Bishop who performed the ceremony was great and quite a good sport. In the pre-wedding interview with my cousin and his intended, the Officiant did his job well. Knowing these two were not practicing Mormons, he had to tactfully discover the nature of what the bride would be wearing. There are pretty specific standards in the Mormon church about what the bride can wear in her wedding…legs, arms, neck and shoulders are to be tastefully covered. I wish I could have seen his face when my new cousin-in-law described her lovely, Houstonian, strapless, designer gown. Bless his heart, somehow he worked it all out, maybe even in honor of my Aunt, long gone now, but a well-known member of this church…who knows. I kinda wonder if the Bishop thought that veil would cover her risque` bare shoulders! The wedding task, assigned me by my cousin, as his only relative present for the ceremony, was to choose a short reading. My self-imposed task was to say something leading up to the reading that might bring these three groups together. YIKES…but, I love a good challenge. I really wanted to do this right! My cousin is much more like a brother to me. I lived with him, his brother, and my aunt and uncle for many years when I was young. They became my immediate family. I have officiated at several weddings myself and I know that nothing brings a group together faster than shared laughter, but I had to do some research because I did not want to be disrespectful to the LDS wedding guests who came primarily because they loved my cousin’s mother. My Aunt had a big hand in starting the Mormon Church there in Natchez years ago and these people still remember her! I wanted to make sure it was proper to laugh out loud, to applaud, and to rebel yell in a Mormon “Meeting House”…not that I could have stopped my cousin’s longtime Natchez friends from cheering at the end…He is 68 years old and this is his first marriage so this was a Big Deal! I guess my research paid off because apparently the short comments I made before the reading were a hit. At the reception, at least one member of each of the three distinct groups gave me positive feedback on what I said during the ceremony. Anyway, the whole thing went off without a hitch…Well, except there was that mix-up about who got to use the limo from Dunleith to the Mormon Meetinghouse, the Houstonians or the Bridal Party. The out of town guests were all staying in one of Natchez most famous Antebellum Mansions, and the Hummer Limo was the transportation to the church. That was a slightly stressful 15 minute wait for the Bride’s arrival, but she and her beautiful maids showed up and the ceremony was short, sweet, and as predicted, raucous at the end!! The reception was lovely also. Again, in memory of my Aunt and Uncle, it was held in our childhood home. Beautiful string quartet, fantastic food and the successful blending of those three fairly distinct groups for an evening to remember! My aunt, uncle and other cousin would have been thrilled to see the transformation in their home, especially given the reason for it. All in all, an amazing ending to the Natchez part of our trip. We piled in the car the next morning, bright and early, heading for home! It started with her sweet but slightly pitiful meow somewhere off in the distance. The older male cats can really let loose with YOWLS but not Lucy. She is polite in her vocalizations. Sixteen year old Alpha cat, Zorro will talk your ear off, loudly, and will make terrifying and ferocious sounds if he thinks you are hurting one of his “siblings”. Phineas, on the other hand, will snap off an immediate “F-you”, in cat language, if you try to correct him on anything…that and he’ll occasionally wander the house crying LOUDLY like he is the most forsaken being on the planet. But not Lucy. She is sweet in the sounds she makes. Don’t get me wrong. She is one tough little cat broad and will take on either of her older and bigger “brothers”, often even the instigator of mostly playful exchanges. Back to my story…So I hear Lucy’s little cry…somewhere, but I look every where and can’t find her. There is this kind of vestibule between rooms in our old house that is currently mostly used for storing things after our recent major downsize and internal move (from the main floor to the basement apartment). This vestibule area is where the mewls are coming from. I look and look again. She is not in here! But on closer inspection, here is what my camera finds that I could not. Cut to the end. Let’s just say, it took a lot of cat treats to coax her back out of her newly discovered hiding place. I’ll let you know her next discovery!! Another post inspired by another of my favorite Bloggers! Here’s the story I referred to in my comment to Lisa. A lot of it is the version I wrote when I was 9 or 10 years old, and then I added to it (mostly the sarcasm) at about 15 years old. Having a duck for a pet was NOT my idea in the first place. I was much more of a Lassie or a Rin Tin Tin gal. I couldn’t help it that they had a drawing for a prize the Saturday afternoon before Easter when we were just innocently attending the matinee showing of Pinocchio at the Roxy Theater. I didn’t ask for my very own ticket stub to have the triumphant number, thus making me a winner of something for the first time, ever, in my whole life. I never even intended to be a contestant. I was only seven. It also wasn’t my fault that I had to carry that squirmy baby duck in one hand and hold onto my squirmy 4-year-old sister with my other. So, who could blame me for dropping that duck, a time or two, on the way home? It was 10 blocks to walk after all. And since I was a first time duck owner, how was I to know that baby duck’s wings were not supposed to stick straight up in the air like this duck’s did; well, after those 3 or 4 drops anyway. Oh, I guess it was cute enough, all soft and fluffy and yellow, but I had wanted a dog, a BIG dog, my whole entire life. No, I get a duck, with funny broken wings that never did lie flat against its body like they were supposed to. And it never did fly. It mostly just flapped. Not wanting to invest much of my creative energy in this creature, I just started calling it Fluffy…because it was. I was the oldest kid which, in our family gave me tons of extra jobs to do, but it also gave me the right to have my very own room. So, if I was going to have to SHARE my room now with a duck, it better not poop and pee everywhere. How was I supposed to know that you couldn’t housebreak a duck? I just did it. It took a few weeks but after it learned, it only pooped in a cardboard box. The whereabouts of the peeing I am less sure. I’m sure now that my folks thought this duck was a “short timer” because of the broken wings and all. But, it was still in my room, months later, when it had lost all that yellow fuzz and become this pretty brown and iridescent colored animal whose cute little squeak had disappeared and been replaced with a VERY LOUD quack. It was that quack that must have inspired my Dad to get busy out there in our back yard, creating a duck paradise. One Sunday morning when I got up, he asked me to come out into the yard. Now see if you can picture this. It was a huge back yard with the requisite San Diego banana trees and citrus trees (lemons so sweet you could peel and eat them like oranges). We also had a swing set, a home made gazebo and two beautiful, flowering Oleander trees, the dangers of which, we had already been taught; (“It’s OK to smell the blossoms, but if the trees are ever on fire, do NOT breathe the smoke.) From the edge of the cement patio, where the garden hose could easily reach, my Dad had dug two trenches out to the Oleander trees. Then he had dug moat-like ponds around each tree and connected those with another trench. This elaborate system of waterways was to be Fluffy’s new home. Finally, it could be a REAL duck (just like Pinocchio had become a real boy). That was the plan anyway. Well, I guess you can’t teach an old duck new tricks. Although old Fluff seemed content enough in the daytime to swim around and around those trees, as soon as it would start getting dark, there would be that duck, loudly protesting, on the back porch, until it was let in for the night. So I continued to have a night time roommate…..until one morning when the strangest thing happened. Fluffy, who, OK, OK, by now, was my pal, had remained non-gender specific. Then, this one morning I woke up and there was a large brownish egg next to Fluffy in her “nest” (which consisted of a bunch of rags in one corner). I think it was some kind of Last Straw. For me, it simply solved the gender question. I was pretty sure it was the girls that laid eggs. From then on there was an egg every morning but no matter how hard I tried to wake up early, not make a move in my bed and to watch, I never was able to witness this amazing feat. “That damn duck should NOT be in this house!” is what I heard, day and night, and then I heard “well, at least we can eat the eggs.” Of all the nerve! They wanted to EAT the EGGS. AAARGH!! I mean, REALLY! I wasn’t sure why I even cared but hey, I figured, my duck, my eggs. At one point, we actually had 11 eggs in the fridge but they mysteriously disappeared one morning. I don’t even want to think about where they went. Somewhere along in here, the next door neighbors adopted a HUGE, yellow Tom Cat, biggest one I had ever seen. He roamed the neighborhood pretty freely and this, for some reason, had my normally calm Dad very upset. What happened next, I didn’t even find out about until years later when my father, figuring the statute of limitations was up on Parental Betrayal, told me the whole story. Evidently, Daddy was extremely worried that I would be wounded beyond healing if one day while Fluffy was paddling around in the back yard, that big old yellow cat stopped by for a meal. So, plotting with my mother and all my younger sisters (it seems I was to be betrayed by my entire family) they came up with a plan. One Saturday morning they told me that due to my “oldest kid privileges”, I got to go to Story Time at the public library. (The trick they were about to play on me was dirty enough without using that big gun to get me to cooperate.) I was dropped off and told they would be back for me in 2 hours. I thought I was pretty hot stuff. Not even 8 years old yet, but old enough to go to the library all by myself. Their sinister plan was to charge back to the house, capture my duck and take her to Balboa Park up by the zoo where all the wild ducks wandered free. This actually was a well-intentioned plan. They thought it would be easier for me to recover from the inevitable loss of my duck if I was told she had a miraculous cure, her broken wings magically repaired, and she simply flew away while I was at Story time. The tale he confessed years later went like this. They all drove to a secluded place in the park where there was a pond and lots of city ducks. Dad, with my pal Fluffy under his arm, my traitorous family sitting in the car watching, walked out across the expanse of lawn toward the pond. He said a few words of good-bye, and tossed my duck toward the water. Satisfied that he had done his duty as a loving, protective father, he turned to walk back to the car. Well, Fluffy was having none of this. She duck-waddled after Dad until she caught up with him, and then pacing herself to stay even with him, calmly followed him back to the car. This could be a very long story. Let me just say that after several attempts, Dad gave up, and they brought Fluffy back home. Hey, imprinting is imprinting and like I said before, you can’t teach an old duck…. I think I had fluffy until I was about ten. She eventually learned to live outside, day and night. I was finally convinced that we shouldn’t waste her eggs, and duck egg omelets became a weekly treat. And ultimately, just as my Dad had feared, that damn orange cat got her. But, I tell you what. She was my pal and what I know now is that she was an extremely unique duck. Not a bad first pet. Not bad at all. I love that Word Press gives us all these challenges! Not because I can’t think of anything to write about, but because it helps me narrow topics down! The first time I heard the song A Life Uncommon by Jewel, I was moved to tears. I loved the song and could not stop thinking about it! “No longer lend your strength to that which you wish to be free from.” WOW! After hearing them sing it, I decided I wanted to EARN having this very song be performed at the party I want folks to have when I die!! But there is another chapter. 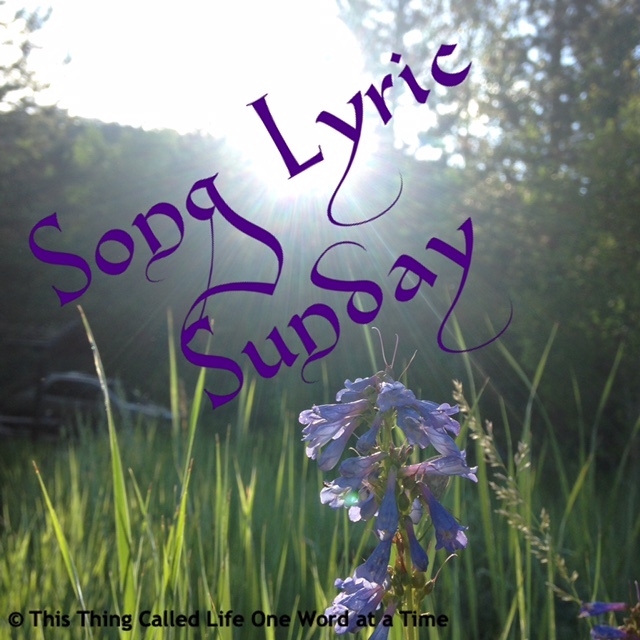 The song, Life Uncommon, was the first and most important song on that playlist, with the disclaimer that I was still learning to live this way. Three generations…my mother, my daughter, Pamela, and me, all around the same age. I couldn’t see any resemblance between my daughter and me but could see it between Pam and my mother. Me and my birth daughter! Me with my son and his sister together, a dream come true! And giving me….a life uncommon….